The one-time rocket launch that cracked the sky in Epic's Fortnite has ushered in the fifth season of the popular Battle Royale game. The rocket-launch that ended up cracking the sky in Epic’s Fornite has now ushered in Season 5 of the popular Battle Royale game, starting Friday. Epic has been teasing the moment for some time now. The in-game rocket launch which made a rift in the sky and the big burger statue that disappeared and showed up in the California desert (the real one). Fortnite llamas also appeared in Paris and Cologne (again, real places). A carriage from the past appeared while the Tomato Town Mascot disappeared. All these changes indicated a change is coming. The major changes in season 5 include four-person golf carts, which is the first proper vehicle after the shopping carts in the previous season. The rifts that were created after the one-time rocket launch are now interactive and let you leverage space-time. You can jump from one point of the map to the other and parachute back to the ground. Cars that work are finally here. The golf carts have some interesting mechanics of their own that allows the passengers to contribute to the ride. The roofs of the cars act as bounce pads for the carts. Maps have changed as well. The Moisty Mire map has been replaced as a desert outpost and a golf course has been added. Anarchy Acres is now Lazy Links. It’s clear the theme for this season is time travel and in line with that, you can find objects and artifacts including a Viking ship and statues. Season five’s battle pass offers new unlockables and challenges. Funnily enough, you can now play golf or basketball with your friends. The double-pump shotgun abuse has been fixed and auto-fire has been enabled for mobile which will automatically start once the crosshair is within range of an enemy. There are a lot of other changes in the game as well and there will be more to come. 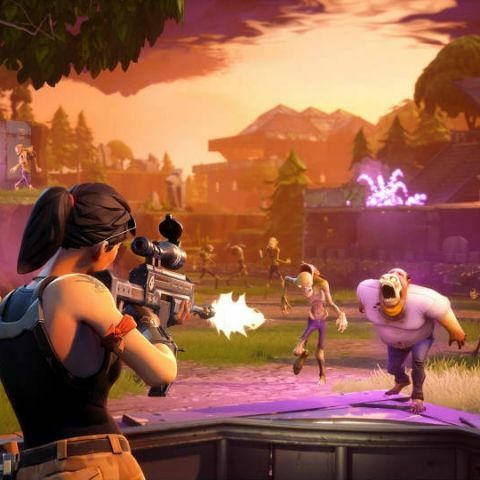 Check out the entire Fortnite Season 5 patch notes here. is windows 10 more successfull and featured in lumia phones?? What happens when two particles moving with high velocity collide in space?? in Ear earphone under 1000 with deep heavy bass and easy to wear for a long time. How Moto G2 and Asus Zenfone 5 perfoms in battery and perfomance? Zenfone 5 can connect with PC?